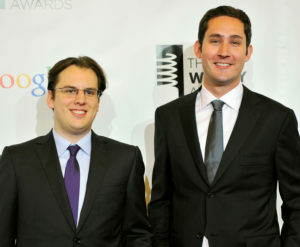 SAN FRANCISCO — The co-founders of Instagram are resigning their positions with the social media company without explanation. Instagram has largely escaped Facebook’s high-profile problems. The departures are a challenge for Facebook. Instagram has been a bright spot for company not just because it’s seen as a more uplifting place than Facebook itself, but because it is popular with teens and young people — a group Facebook has had trouble keeping around. Instagram has largely escaped Facebook’s high-profile problems over user privacy, foreign elections interference and fake news, even though it is not immune to any of these things (Facebook recently disclosed it has deleted hundreds of pages on its namesake site as well as Instagram that were linked to global misinformation campaigns intended to disrupt elections). Though Systrom, in the early days of Instagram ads, famously checked each one personally to ensure it aligned with the app’s aesthetics, he was not as loudly anti-ads as the founder of another popular Facebook-acquired mobile app, WhatsApp. WhatsApp’s CEO Jan Koum resigned in April.